Alexandria Ocasio-Cortez hit back at Republicans for criticizing her latest misstep, saying they need to stop “drooling” over every word that comes out of her mouth. The exchange comes after Ocasio-Cortez seemed confused about the structure of the U.S. government. "If we work our butts off to make sure that we take back all three chambers of Congress — uh, rather, all three chambers of government: the presidency, the Senate, and the House," she said Saturday in a call with Justice Democrats, a progressive political action committee. 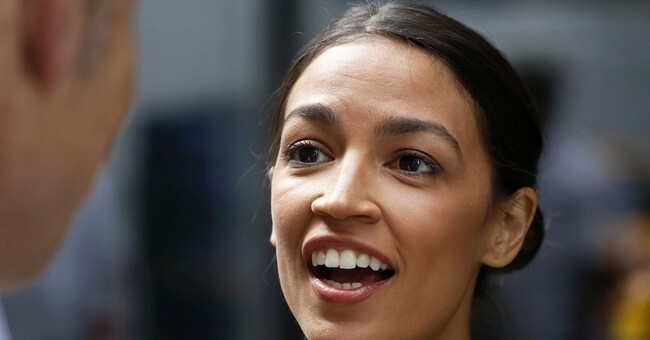 Ocasio-Cortez encouraged far-left supporters to join Justice Democrats if they were interested in becoming a member of Congress. “If you’re a strong progressive leader in your community and committed to getting money out of politics, I want you to join me in Congress. I want you to run.